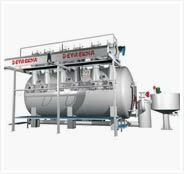 We are leading exporter of fabric dyeing plant and fabric dyeing machinery. Dye - 30 to 450 g./mt.sq. Fabrics (woven & knitted fabrics). Number of very soft-flow nozzles & jet nozzles. 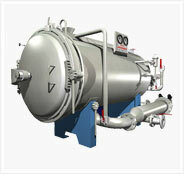 Work as a jet dyeing machine for polyester & blend fabrics. 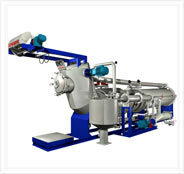 Work as a soft flow machine for cotton fabrics. High temp. up to 140° C.
5. 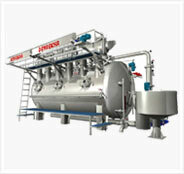 Capacity 50 to 2000kgs. The Multi - Nozzle Low/High temp. 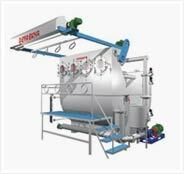 Dyeing technology work as a soft flow as well as jet dyeing machine. 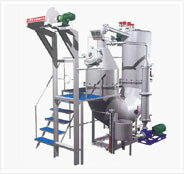 The main advantage of this development is to increase machine flexibility/ versatility to process all types of fabrics. In this new technical development, the nozzle 3 & 4 are big diameter and fix nozzle with individuel flow control valve. The 1st main nozzle is adjustable. 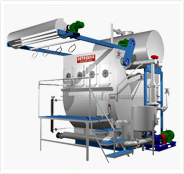 By increasing and decreasing the gap of nozzle, flow and pressure will be increase and decrease as per fabric quality demand. To run this machine as a soft flow machine, increase the gap that decrease the pressure and increase water flow, at that time all three nozzles are working as a soft flow and water flow control individually by control valve as per fabric quality demand. 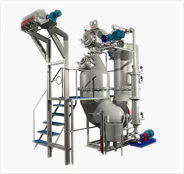 To run machine as a jet dying machine, decrease the gap of nozzle, that increase the pressure and decrease the water flow. That time soft-nozzle control valve are close.